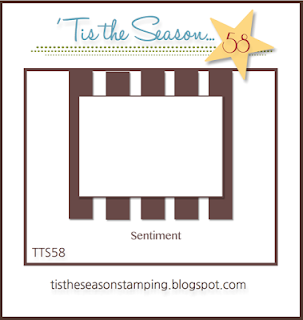 This week at 'Tis The Season we have a fun and easy sketch. 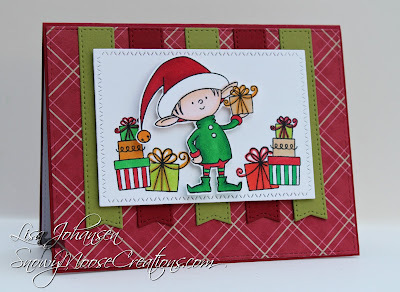 I pulled out some of my favorite MFT products to create my card. I created a little scene with the elf surrounded by presents, and because my banners came down so far I elected to just have my sentiment inside of the card instead of placing one on the outside. The white panel is popped up with dimensionals as is the elf. It doesn't show well in the picture but I added clear Wink of Stella to the brim of the elf's hat and to the presents in the bottom corners. Head over to 'Tis The Season to see what the rest of the DT came up with and then play along with us! Now is the perfect time to start working on your Christmas 2016 card stash!